The elegant design of Hydro-rain’s professional line of energy efficient LED landscape lights provide security while adding breathtaking accents to your home and plants. These high quality lights will provide many years of dependable service, while the soft warm light enriches the natural beauty of your landscape. 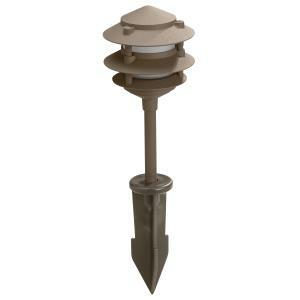 This pagoda style light stands approximately 12" tall.